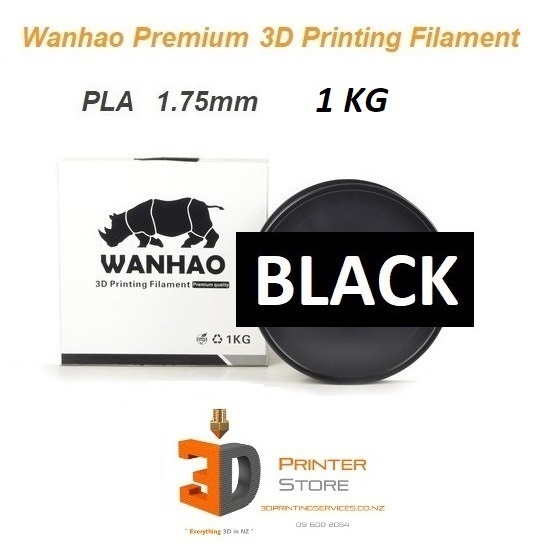 Wanhao make a high quality well priced 1.75mm PLA 3D Printer plastic filament in a Deep Black colour. 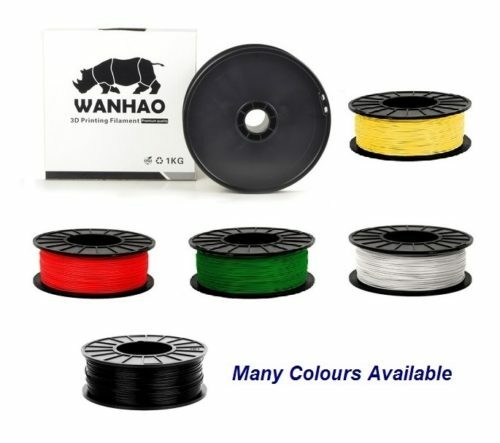 We are a key Wanhao Distributor so we can offer our kiwi 3D makers this 3d printing filament for excellent prices! A nice deep Black with a clean & very mild sheen for beautiful contrast. Not excessively shiny like other cheap Black materials – this shade is our proper kiwi black. Solid opague colour, not translucent. We sell some Translucent colours too please see other rolls. This is 1 roll of 1kg PLA Filament. Our 1Kg PLA spools have a large 55mm centre diameter with a standard 200mm outer diameter to allow fitting on some proprietary style machines that have large centre spindles to try & force you to buy only some specific materials. We also sell smaller 0.5 Kg spools of some materials to fit inside some machines like Dremels or Up minis that make it impossible to slot material in. But we recommend buying 1Kg spools as they are much cheaper than the rare 500 gram rolls which cost more. If internal fitting is important to you, please double check that aspect of your machine. Where you place the roll or how you fit them does not have any relation to the plastic that is on the roll. There is no change in 3d printing performance however you use these rolls as our plastic material is good quality. PLA (Poly Lactic Acid) is a very easy Plastic to work with. It provides excellent glossy finish, good rigidity, excellent layer adhesion, good strength, & limited need for support structures. PLA is compostable so its gentle on the environment thanks to its Bio Degradable qualities. It is flexible to some extent depending on part & print settings, but not as flexible or strong as PLA+. If you need the ease of 3d printing PLA but with flexibility & higher impact strength, please consider our PLA+ materials. 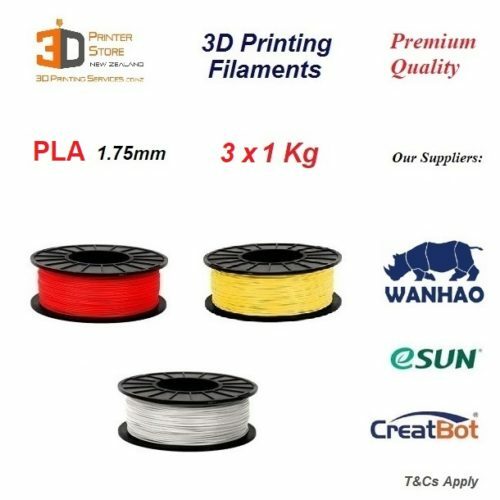 All our 3d printer filament is tested & proven to be working perfectly with popular 3d printers before we sell it. 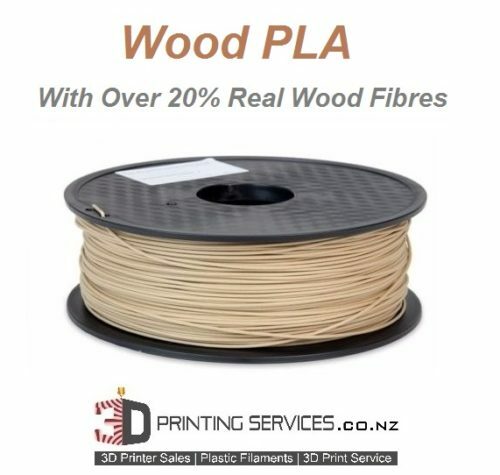 Our 3D Printer Store has NZ’s biggest range of 3D Printing Filament. 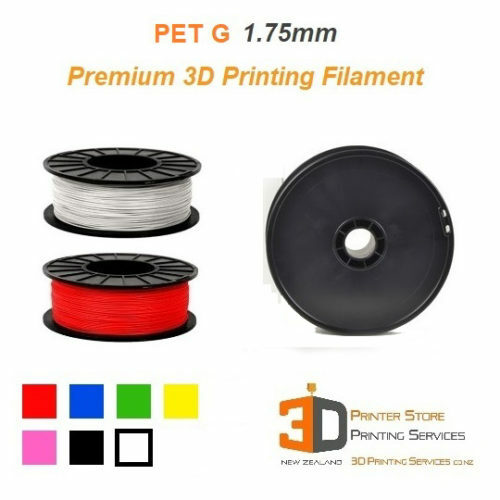 PLA , ABS , PetG , Nylon PA, PolyCarbonate, Carbon Fibre, Wood, Bronze, Aluminium, Steel Metal, PVA water soluble, HIPS, Flame Retardent ABS, Flexible TPU, TPE & even PEEK ! 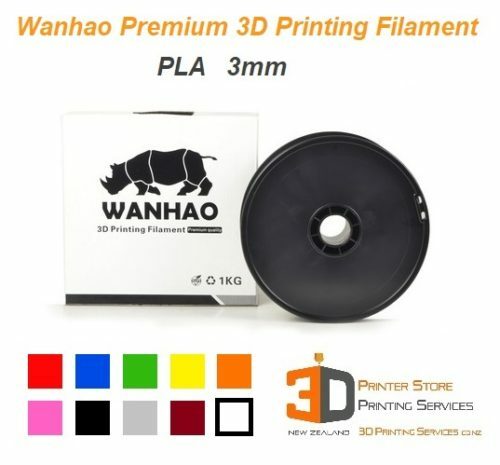 PLA is a good starting point in almost any FDM 3D Printer. 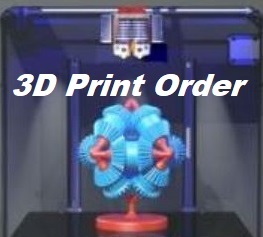 But always confirm that your 3d printer can print any other material you want to 3d print. Kindly note that all prices Exclude GST & are subject to change without notice. Prices may be different on trademe or any other sources.